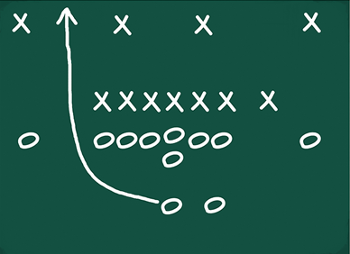 Do you have a playbook that covers the entire game? Every successful company has some sort of strategic plan for growth; for staying relevant; for keeping up with the competition. But what about for those times when the unexpected happens, or when a small problem mushrooms into a much larger challenge that threatens an entire division or even the whole company? Winning teams carefully prepare for each opponent they face, including having some idea how they plan to react when faced with unexpected changes in the game. Having a plan improves the odds of your company surviving a crisis. Why take unnecessary chances with your business? 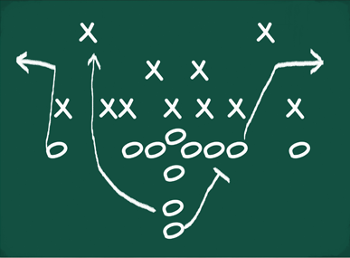 Call in The Crisis Quarterback to guide your executive team in drafting a playbook that sets out a game plan for handling any unexpected downturns your business may encounter. Get Me The Crisis QB! We can work closely with your management team to review your operations, identify your current risks and vulnerabilities, and prepare a strategic plan in advance of an unexpected or escalating problem. Do you have a process to learn from your mistakes? Win or lose, every team needs to evaluate and review its performance after the game is over. Absent watching films and analyzing what worked and what didn't, there is no way for a team to learn from one game to the next. In today’s dynamic global business environment, you must seek continual improvement or else be overtaken by your competition - existing and new. When your company suffers a negative event, it is imperative that you figure out what happened and how best to correct what went wrong. Why risk suffering from repeat problems? Call in The Crisis Quarterback to advise your executive team on how to break down the negative event so that your team will be better prepared to face its next unexpected challenge.